Click on the above image to view full-size. This large brick house is asymmetrical and consists of two and a half storeys, the attic lying under a steep roof of varied style. The wood components of the facade are accented with intricate detailing on wide bargeboards, pediments and hood mouldings. The red brick is accented with contrasting coloured voussoirs connected to a soldier course marking the division of the first and second storey. 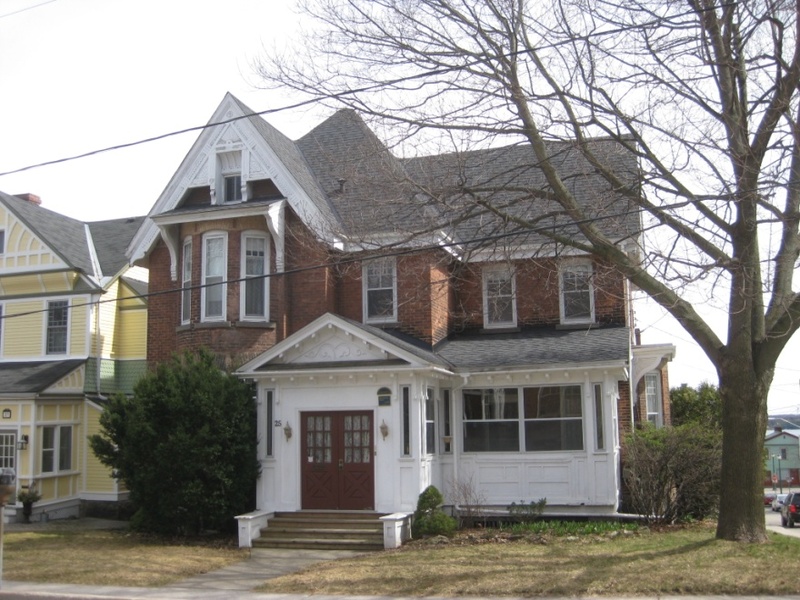 This house has contributed to the surrounding streetscape since the mid-1880s.